Sharing the announcement that my tween is one of the ingenious students responsible for imagineering school supplies as part of the Designed by Students project is a privilege I dream of one day claiming. My reality is that I am more than amazed by the students that are actually responsible for designing school supplies that I am looking forward to getting for myself from my nearest Staples store. Staples has partnered up for an inventive educational program offering middle school students the opportunity to help to create and design school products that solve some of their everyday problems. The students ideas rendered actual products that are well-designed and resourceful. These new school supplies are no longer in the research and development phase of the business, the Designed by Students products are now available to purchase, and I am genuinely excited to shop to support the cause. 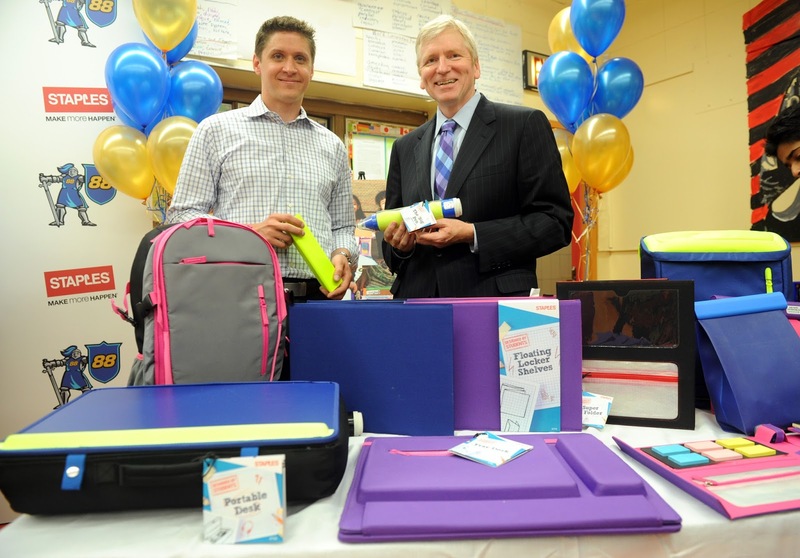 "When it came time to come up with innovative new school supplies, Staples went right to the source for inspiration - students. Because who knows what students need better than themselves? Along with design education experts, aruliden, we brought students from two middle schools into the design process to get their take on what kinds of products would help make the school day easier." Partnered in teams of 3, students surveyed, researched, analyzed competitors, and identified the problems in order to frame a solution. Students conceptualized their ideas for school products that met the needs they uncovered in their research to be presented to students, staff and Staples team members. Staples' product development team analyzed, interpreted, and presented product concept sketches to the students. Educator and Innovator, Angela Maiers shares a few of her favorite innovations in these videos.